Reliance Industries has accused CAG of exceeding its brief in the audit of spending on eastern offshore KG-D6 block saying hindsight is being used to question operational decisions taken 8 years back. RIL in a presentation at an Exit Conference called by CAG at the end of its second audit KG-D6 for 2008-09 to 2011-12 stated that use of hindsight to question project efficiencies and procurements "could be easily perceived as a performance audit which obviously was not the stated intent of Audit." "Inspite of the assurance that this is not a performance audit, the benefit of hindsight seems to have been used to question the efficiency, effectiveness and economy of not only contracts but also assess the prudence of operational decisions taken as many as eight years ago," it said. Procedure to the PSC by commenting on the commercial, operational and technical performance of the Contractor and by providing its own legal interpretation of provisions contained in the PSC." An audit under Production Sharing Contract (PSC) must be limited to the verification of charges and credits recorded in the accounts against actual amounts incurred, paid and received. "In particular, we are concerned to see comments that appear to be arriving at a conclusive opinion as to the proper legal interpretation of PSC provisions concerning matters that are in dispute and already the subject of arbitration proceedings between the government and the contractor," RIL said. RIL said the CAG appears to conclude that the Contractor was required under the PSC to achieve the levels of gas production estimated in the approved field development plan and that the government is entitled disallow cost recovery for under-utilisation of facilities. "However, the interpretation of such provisions is already the subject of an arbitration proceeding... We respectfully submit that matters such as this should be left to be resolved by the arbitral tribunal and doing otherwise would be to undermine the arbitral tribunal and the dispute resolution provisions contained in the PSC," it said. RIL said at several places in the draft Audit Report the CAG's audit team has merely paraphrased its responses and then dismissed them with a vague "we disagree" without specifying the reasons for not accepting our responses. To CAG, it said, the PSC procurement procedures were intended to differ from government/PSU procurement procedures and to promote investment efficiency, faster decision making in the interest of the project. While government/PSU procedures focus on piece meal & individual tenders taken on standalone basis, avoiding delays and cost of not doing things becomes a primary consideration in PSC procurement. "Therefore, audit of procurement under the PSC cannot be done keeping government/PSU procurement procedures in mind," it said. RIL said KG-D6 is India's first and only deep water project and amongst the most complex and difficult projects in the world. "The Draft Audit report seems to quote selectively from the responses submitted by the Contractor, whereas, it would have been appropriate to reflect Contractor’s views in their complete context," it said adding reasons/rationale for not accepting its explanations may be provided in the final audit report. "Audit is requested to indicate the basis for quantification of any adjustment of accounts recommended in the final report," it said. "Issues which are either under Arbitration or are the consequence of differences in interpretation of PSC provisions should not be commented upon in an Audit of accounts." The PSC provides for due processes for dispute resolution and an Audit adopting a particular interpretation will prejudice the issue. 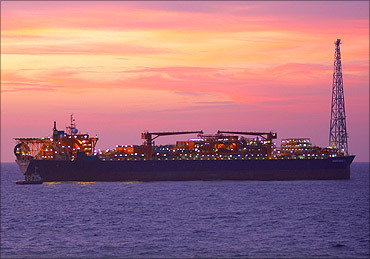 On draft audit observation that capacity created was under-utilised because of fall in gas output thereby adversely affecting its government's profit petroleum, it said RIL and its partners have disputed linking cost recovery to production and the matter was under arbitration/sub-judice and any inference drawn would be prejudicial to the interest of the parties to the PSC.